I was officially denied my Indian Visa this morning… which puts to end The Khalerias week long ordeal with the Indian Embassy. Straight from the embassy, we headed to an internet cafe, and started researching where to head from here. About an hour later we booked a flight to Bangkok for tomorrow afternoon. I’m really upset/sad/frustrated with the whole Visa situation – but on the bright side, I’ll be having Pad Thai for dinner tomorrow night. I know many of you have been to Southeast Asia before, so please send us any recommendations! Neither of us were planning on heading there until 2011, so we’re going in blind. One giant thank you for all the messages and words of encouragement I’ve gotten over the past few days. The ordeal has really shed light on how lucky we are to be Americans – almost everyone else in the world has to deal with ethnic-based discriminations trying to travel anywhere abroad. Like I told a good friend Zoey this morning – we’ve got it easy, so I quit my whining right now! And one more special thank you to The Khalerias travel companion for the past two months – we are really going to miss you Parsons! 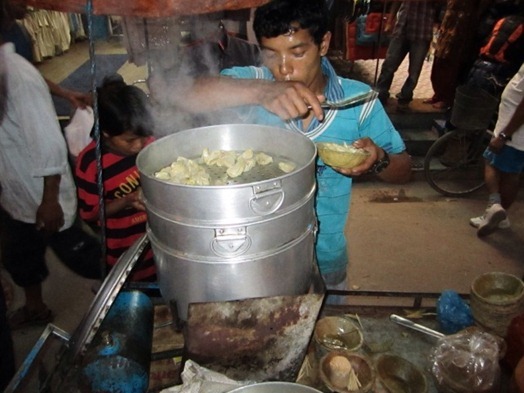 Please stay tuned on The Parsonians Blog to follow ATP’s travels through India (and the Camel Fair in Pushkar)… sadly without us. Talk to you all from Thailand tomorrow night! Since The Khalerias are (still) stuck in Nepal , I’ve been reading a little about the Pakistani-India conflict. These race/religion/land disputes are the cause of decades of hatred, three wars, thousands of innocent lives lost, and one little White girl who can’t get an Indian Visa because her Dad is from Pakistan. With the end of the Second World War bringing the dissolution of the British Indian Empire, the intention was to split the region by religion. Muslims were to head to the North (what later became Pakistan as we know it today) and Hindu’s were to stay in Indian territory. This partition forced the displacement of millions of people, who were violently uprooted from their homes in order to split the land mass. This included my Grandfather, whose family moved from India to Pakistan during this time. While maybe initiated with good intention, the results of this split were catastrophic. Not only did this create an air of hostility between the parties, it left some princely Indian states up for grabs. The rulers of these states were to decide if they chose to secede to India or Pakistan. The ruler of a now-famous province called Kashmir, chose not to pick sides, claiming that his people could remain independent from both countries. 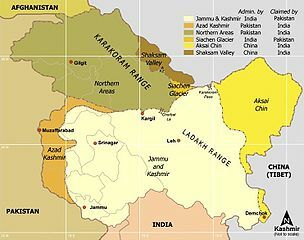 Both parties claim relation to the people to Kashmir, and rights to the land because of their religion. Since the Kashmir province is also in a convenient location bordering China and the former Soviet Union, tensions started to brood even more. Months later, the first war broke out between India and Pakistan over the region. The Pakistani army invaded Kashmir, forcing the prince of Kashmir to ask India for help. 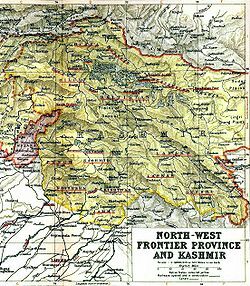 India promised help if Kashmir was signed over to them… but the war resulted in the UN dividing the province into two equal parts. In the decades since, both sides have claimed rights to this land and three subsequent wars have been fought over the territory, the latest being in 1999. Today, all relations between the Indians and the Pakistanis are met with suspicion. These hostilities carry over into a host of other problems. In 2002, Osama Bin Laden said that one of the reasons he was fighting against America was their support of India regarding the Kashmir Province. I’ve been at the Indian Embassy in Nepal three times over the last few weeks, the first two visits resulting in a denial of my initial application to enter India. Yesterday I spent the morning at the embassy on the phone with the Indian Foreign Ministry – answering questions to the best of my knowledge about my family. I’ve been told they will review my case and get back to me on Thursday for a final answer. When I got off the phone, the manager of the embassy told me my chances were slim to none – but I’m keeping my fingers crossed. Stay tuned for the drama! If India is a no-go, The Khalerias will fly to Southeast Asia next week!